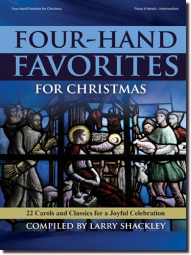 This collection overflows with Christmas spirit, featuring twenty-two arrangements by nine talented writers. All of your favorite carols are here, plus selected Christmas classics. Written with a variety of musical tastes and skill levels in mind, this anthology is an incredible resource for pianist pairs.